LOGONA Natural Top Coat consists of natural raw materials, and is almost odourless. It contains no formaldehyde, formaldehyde resin, toluene, dibutyl phthalate or camphor. 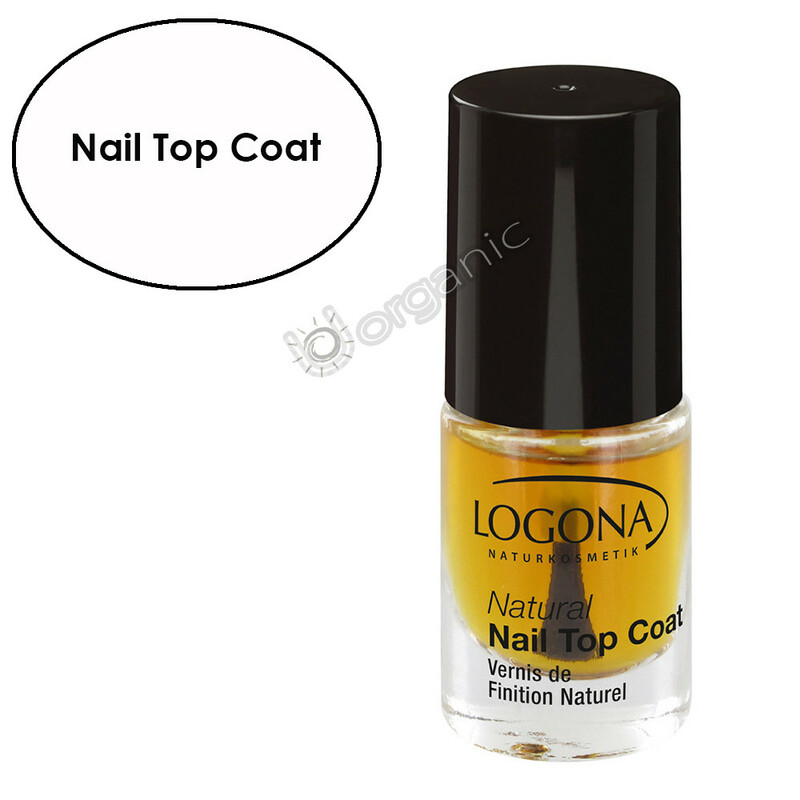 LOGONA Natural Top Coat consists of natural raw materials, and is almost odourless. It contains no formaldehyde, formaldehyde resin, toluene, dibutyl phthalate or camphor. The clear polish protects the colour polish, makes it last longer and gives your nails a glossy finish. The natural raw materials used give it its yellowish colour. The big brush is great for its even application. For naturally beautiful nails!